Two component aliphatic, solvent based, polyurethane varnish. It is resistant to UV radiation and adverse weather conditions. Highly resistant to abrasion. 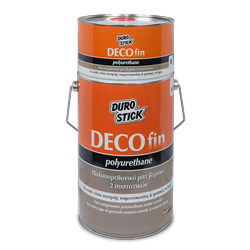 Apply it to create a flexible and clear, protective matte film which does not yellow over time. Suitable for the protection of microcemento (pressed cement screeds), pressed screeds in paste form and natural stones, both indoors and out. 1kg/7-8m² per coat, depending on the absorbency of the surface. 750gr ( A: 547gr, B: 203gr ), 5kg ( A: 3,65kg, B: 1,35kg ).